Both Kindle and Paperback available Saturday 25 July! Percy Crow, twice captured in World War Two, first by the Nazis and then by the Russians, escapes in the bilges of a freighter from Soviet Russia to Hamburg where he sells his secrets to Meredith Paine, the head of British Intelligence. Lord Maudlin Paterson hears of Percy’s account of a member of the Royal family’s sexual abuse of a fourteen-year-old girl in the Irish home of a fellow English lord. Disgusted to think that his beloved England could be besmirched in such an obscene manner, he sets out to find whatever the repulsive truth may be! Many years after Maudlin’s death, the daughter of his illegitimate Russian son, Paulo Korovin, suddenly blurts out Percy’s name whilst being interrogated by the CIA for her spying activities. Harry Paterson, Maudlin’s legitimate great-grandson, is the only person to whom she’s willing to disclose what little of the spiralling web she knows! Is there more to be discovered by Harry, as the rationale of his great-grandfather, hidden in the distorted mirrors of photographs at the back of an album, or, is there another reason much closer to home? Not trusting British Intelligence, Harry, with his lifelong friend George Northcliffe, along with the new complication in his life, the beautiful Serena Abenazo, starts unravelling the clues. Where will the rattling bones of the sepia images lead him? 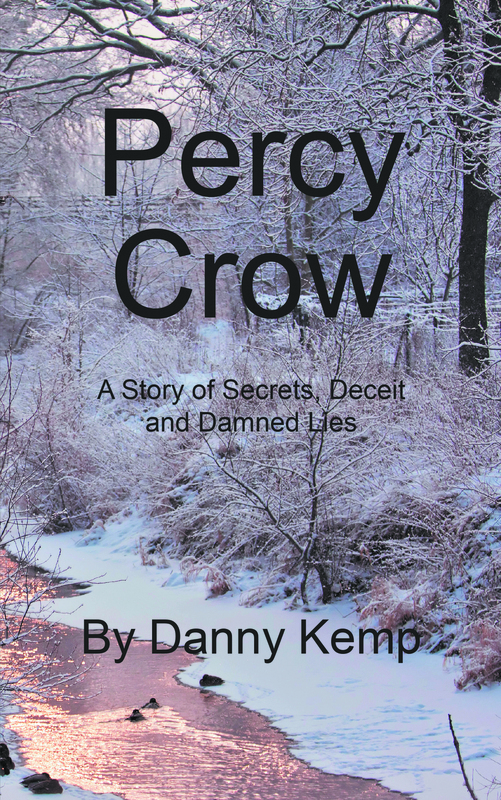 Over one hundred deceitful years covering more secrets that could be imagined are concealed by just two words; Percy Crow! This entry was posted in Lyricist/Author/Copywriter and tagged abuse, Agents, Amazons, America, BBC, Danny Kemp, despair, dreams, Dublin, europe and america, Germany, http://danielkemp.co.uk/, http://www-thedesolategarden-com.co.uk/, Ireland, London, london cab, Lords, Radio 4, Radio Kent, radio today, Secret Service, sky, spies. Bookmark the permalink. Ah,a continuance of “The Desolate Garden.” I am looking forward to it :o). You are writing faster than I can read them Danny. :o)))))))))…..